Perfect Places - Vacation Rental Blog: Honeymoon On A Budget! One of the best parts about getting married is being able to getaway afterwards with your spouse and spend some quality time together.! Sometimes it can be difficult to find the funds to take a honeymoon, because after all, weddings are now costing an average of over $31,000! But don't worry, we have found some fantastic honeymoon options that won't bust your budget or sacrifice having a beautiful, romantic honeymoon! Little island, big fun! This great island just south and east of the Cancun area offers so much fun, yet in a relaxed atmosphere. Spend your days on the beach, snorkel in some of the best reef locations in the world, and take in the Mexican charm of the vibrant downtown. We think you will love your honeymoon in Cozumel so much that you will be back! Spend your days with your honey on your own private beach at this fabulous vacation condo in Cozumel. You can lay in your bed and watch the waves come in, open your patio door, and walk right out onto the beach. 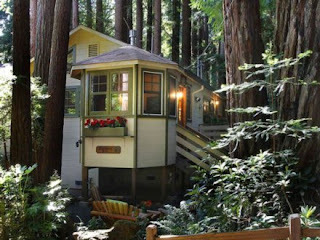 Prices start at just $85.00 a night. What a fantastic honeymoon! 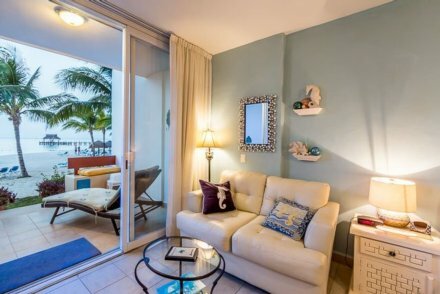 Oceanfront vacation condo in Cozumel, perfect for honeymooners! The perfect places for honeymooning wine lovers! If making your way through the world renowned vineyards of California is something you have always wanted to do as a couple, now is your chance! The Sonoma Wine Country is absolutely beautiful and is full of fun activities to enjoy as a couple. Visit the wineries and shops during the day and come home to your private, cozy, and romantic chalet! This private home is nestled in the Redwoods, located on the creek front with swimming holes, private hot tub, patio, and two decks! All for just $225.00 a night. Don't forget to grab a bottle of wine while you are at the vineyards to share in front of the fire or in the hot tub! If you have always wished to honeymoon in Italy, but just can't seem to find the extra money to do so, consider Croatia! Dubrovnik is very similar to the Italian Coast and is just a fraction of the price! With wonderful history, culture, shops, dining, and some of the most beautiful beaches along the Mediterranean, you will surely fall in love! Relax on your private ocean view terrace and this could be your view, for just $45.00 a night! Watch the boats sail by, the fisherman with their daily catch, and take in the tranquil waters. Croatia is simply beautiful. Beautiful country, beautiful view, beautiful price. Getaway from it all in the Smoky Mountains! If you seek a little seclusion on your honeymoon, Gatlinburg is a great choice! The Smoky Mountains are so beautiful you will enjoy being surrounded by the scenery just as much as being with your new spouse! Gatlinburg offers an array of activities from horseback riding, to hiking, to shopping and dining. Don't miss riding the Arial Tram from downtown Gatlinburg up the mountain for some of the most breathtaking views you have ever seen. 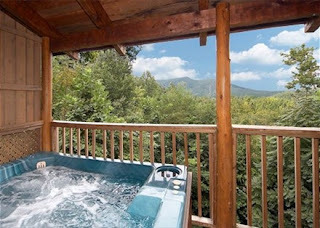 Celebrate your new marriage with a cozy retreat to Gatlinburg at this cabin for just $115.00 a night! We hope you are able to have an unforgettable honeymoon, no matter where you go! If one of these budget honeymoon ideas doesn't work for you, contact our Travel Specialist. We love to help our customers find the perfect place for their honeymoon!